Pegasystems Inc. (NASDAQ: PEGA), the software company empowering the world’s leading enterprises with strategic business applications, today celebrated ‘Kids Day 2016’. 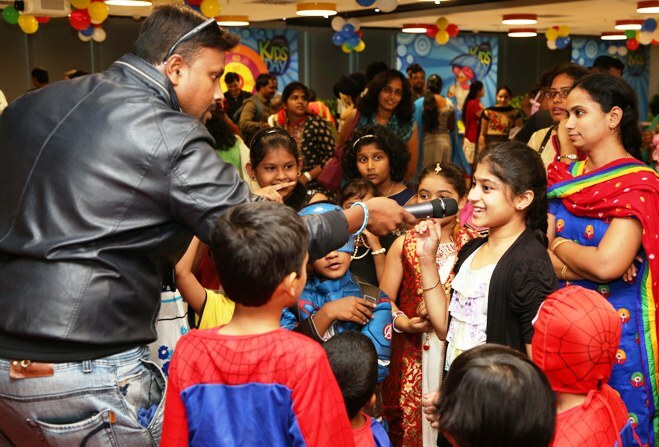 The objective of the event was to celebrate the spirit of being one big family by getting the employees to bring their kids to the Pega office. These special guests got the chance to enjoy the look and feel of an office environment. The celebrations included a fancy dress competition for kids in addition to food stalls and other entertainment adding to the fun filled employee engagement initiative. Speaking on the occasion, Suman Reddy, MD, Pegasystems India said, “Ourapproach to work also extends to how we interact as a team. We at Pegasystems truly believe in the ‘One Team, One Family' spirit. Pegasystems (NASDAQ: PEGA) develops strategic applications for marketing, sales, service, and operations. Pega’s applications streamline critical business operations, connect enterprises to their customers seamlessly in real-time across channels, and adapt to meet rapidly changing requirements. Pega’s Global 3000 customers include many of the world’s most sophisticated and successful enterprises. Pega’s applications, available in the cloud or on-premises, are built on its unified Pega 7 platform, which uses visual tools to easily extend and change applications to meet clients’ strategic business needs. Pega’s clients report that Pega gives them the fastest time to value, extremely rapid deployment, efficient re-use, and global scale. For more information, please visit us at http://www.pega.com.